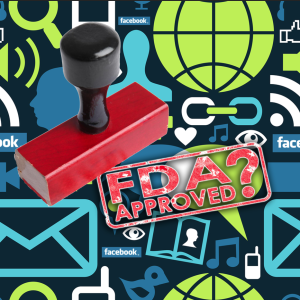 FDA Social Media Guidance: are we entering a new era of DTC in the US? Pharmaceutical companies in the US, and elsewhere, have been nervously hovering around the fringes of social media for a number of years now, trying to figure out how to engage with a medium that has ensnared millions across the planet. The companies’ products are being endlessly discussed, by patients and doctors alike, in blogs and forums, on Twitter and Facebook and in professional networks like Linkedin and Doctors.net. The problem for companies is exactly how to use the medium without falling foul of rules and regulations imposed by the FDA’s Office of Prescription Drug Promotion (OPDP). Three sets of draft guidance documents, released by the FDA earlier this year, go some way towards offering some direction. The rise of social media has re-opened an issue that drug companies have been wrestling with for many years in America: how and whether prescription drugs should be promoted by their manufacturers to the patients who stand to benefit from them. As far back as the late nineteenth century, a number of European and US companies started to define themselves as “ethical” to differentiate from a plethora of “patent medicine” companies that enthusiastically promoted their “cure-all” remedies in the popular press and at travelling medicine shows across the country. The ethical companies (like Smithkline and French- a predecessor of today’s GSK) took it upon themselves to promote only to doctors, in accordance with the American Medical Association’s (AMA’s) Code of Ethics. Formal regulation of drug labelling and claims started to come in after the establishment of the FDA in 1906, and in the first decades of the twentieth century the ethical houses continued to refrain from the promotion of products to the general public. Whilst their marketing activities centred almost exclusively on physicians, governed by the AMA’s “seal of approval” programme for drug ads, by the 1930s companies had started to edge into direct to consumer/patient (DTC) promotion with corporate/institutional advertisements in print media. For the next fifty years, classical “above the line” advertising of prescription drugs continued to be limited to healthcare professionals (HCP) promotion, although companies were increasingly using public relations-related approaches to reach consumers, such as sponsored articles in the consumer press. However, it was not until the 1980s, perhaps encouraged by a consumerist zeitgeist, that ethical pharma started to push the boundaries into DTC advertising. At the time, exactly where responsibility lay for the regulation of DTC advertising of prescription drugs was something of a grey area, falling somewhere between the FDA and the Federal Trade Commission (FTC). Pressure from drug firms forced the FDA to look at the issue more closely and, following a moratorium on such advertising, the FDA effectively cleared the way for advertising to consumers in print media in 1985 when, in a “Federal Register” notice they stated that “current regulations governing prescription drug advertising provide sufficient safeguards to protect consumers.” This basically meant that the “fair balance” and “brief summary” requirements designed for HCP advertising where now applied to consumer ads. In 1997 the FDA proceeded to open the doors to DTC TV Ads by allowing advertisers to satisfy the fair balance and brief summary information with the help of toll free numbers and websites. Following these changes, spend on DTC promotion by the ethical firms (who previously had self-righteously eschewed advertising their wares to the general public back in the days of the snake oil salesmen of the Wild West) ballooned. In 1980 total spend on DTC was $12million. This rose to $47million in 1990, following the take-off of DTC print adverts, and to $1.2billion in 1998 after the introduction of TV Ads. In recent years spend has tailed off somewhat although, given that figures in 2013 stood at $3.8billion, it would seem that the industry continues to find this an effective method of driving sales. The rise of the internet has thrown two curve balls at ethical pharma. Firstly, starting in the ‘90s, it has enabled patients to seek out information on their medical conditions, and the drugs available to manage them, like never before. Then along came web 2.0 and, with it, health 2.0: a “read-and-write web”, focused on sharing of content, blogs, communities and social media. Patients are no longer just reading about treatment options, they are voraciously recommending, denigrating, advising, educating and writing about their therapies to an online community of fellow sufferers. This poses a number of tricky issues for firms to deal with: How can the fair balance and brief summary requirements be satisfied online EG in a 140-character limited tweet? How should adverse events reported on social media be dealt with? How should companies respond to inaccurate information posted by patients? All of this uncertainty, in the absence of clear guidance from the FDA, has meant that very few companies have dared to promote products on social media to date. A quick search of Facebook reveals that none of the top 10 prescribed US drugs have an (official company) Facebook page. 2013 Nielson figures for DTC spend by pharma released a couple of months ago reveal that the most heavily promoted brand in the US was Elli Liley’s Cialis: $221.9million was spent promoting the product, of which only $6million was spent on digital. Looking back on the historical evolution of DTC promotion in the US, it probably shouldn’t come as too much of a surprise that pharma hasn’t immediately jumped on the social media bandwagon. The first ever TV ad by an ethical pharmaceutical company in the US was in 1983 (Boots Pharmaceuticals ran a campaign for a prescription only brand of ibuprofen) around 40 years after TV ads started to appear in the country. 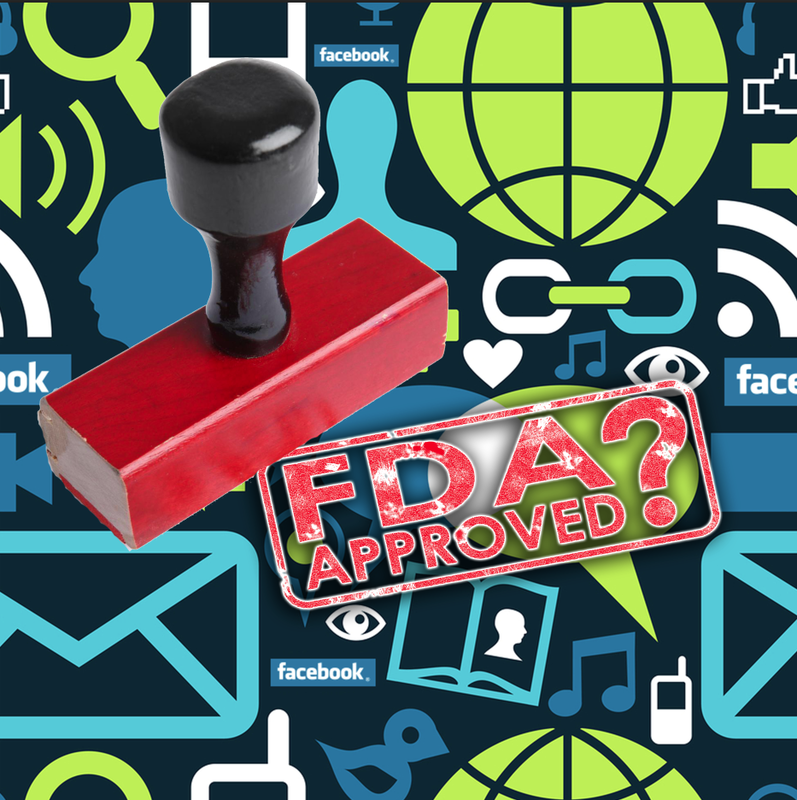 Given that social media has only been active in a meaningful way for around 10 years, this year’s release of FDA guidance (long awaited in some quarters) could be regarded as fast tracking!! The first of this year’s draft guidance documents, released in January, was entitled: “Fulfilling Regulatory Requirements for Postmarketing Submissions of Interactive Promotional Media for Prescription Human and Animal Drugs and Biologics”. For “Interactive Promotional Media” read Social Media, and the guidance relates to social media activity that does and does not need to be submitted to FDA as part of companies’ postmarketing reporting requirements. In short, companies must submit to the FDA all social media sites under their control (whether company blogs or pages on Facebook and other platforms) as well as third party sites on which the company or company agent (EG a paid KOL) participate in discussions. The actual content posted only needs to be submitted if the site has restricted access (where the FDA may not be able to check out content for themselves). The guidance indicates that User Generated Content (UGC) that is entirely independent of the company does not have to be submitted to FDA. In June, two further draft guidelines were published. Either be posted in conjunction with the misinformation in the same area or forum (if posted directly to the forum by the firm), or should reference the misinformation and be intended to be posted in conjunction with the misinformation. Guidance goes on to acknowledge that it may not be possible to correct everything in a particular forum or blog and therefore suggests that a company identifies a “clearly defined portion” of the blog it is correcting. Within that clearly defined portion the company should then not be selective (Eg only correct negative inaccuracies and not inaccuracies favourable to product under discussion). What constitutes a “clearly define portion” is, however, not entirely clear. The second draft guidance document addresses the issue of providing Risk and Benefit Information on ‘character space limited’ platforms. This reveals the FDA’s thinking on the potential use of two of the most attractive tools available to DTC marketers: Twitter and Google’s AdWords. “At a minimum, a firm should communicate the most serious risks associated with the product together with the benefit information ….. For a prescription human drug, the most serious risks would generally include all risk concepts from a boxed warning, all risks that are known to be fatal or life-threatening, and all contraindications from the approved product labeling …. If a prescription human drug does not have a boxed warning, fatal or life-threatening risks, or any contraindications, the most significant warnings or precautions about the product should be communicated. Also required within the tweet/ad is a link to a destination containing detailed risk information as well as at least one dosage form and quantitative ingredient information. URL shortening services (such as Bitly) are permitted provided the final URL contains the word risk. The FDA guideline goes into a lot of further detail, with examples, to explain how character-limited platforms might be used, although you do feel this is a lot of wasted effort on their part. Without endorsing a one click rule to cater for all risk and product information, they are effectively closing the door on the use of these platforms in any meaningful way. So will 2014 come to be regarded as a landmark year in the story of DTC promotion by ethical pharma in the US? A green light from the FDA enabling the industry to start committing meaningful investment in online promotion and social media, like the 1985 and 1997 guidance did for print and TV DTC advertising respectively? I don’t think so. There is certainly more direction for companies using the medium now, with some clarity on what does and does not need to be submitted for approval. Some marketers may try and experiment with Twitter (and Adwords) although it is hard to see how this is a practical option now. There is, perhaps, a wider question for pharma than just “how can we use Facebook to sell to patients?”. As we move into what some commentators have referred to as web 3.0- the portable, personal web- the growth of smartphones and an explosion in health APPs are giving patients an even greater opportunity to self-monitor, share medical data, self-diagnose and take an ever greater stake in their own health management. Companies must respond with candour in this brave new world. The R&D arms of a number of firms, like GSK, are committing to share previously un-published clinical trial data (which has become a highly charged issue); marketers, similarly, must recognise that a didactic ‘hard DTC sell’, whether on- or offline, is the wrong kind approach in an era of patient engagement and corporate transparency.